SNAP and E-Government: Do States Understand the Implications? In the United States, public agencies are increasingly utilizing electronic technologies to serve their citizenry. Also referred to as e-government (i.e., electronic government), these computerized modes of interaction are becoming more popular as a perceived means to greater efficiency of public service programs. Such examples of application areas include vehicle registration, tax returns, utility payments and the request for social services. 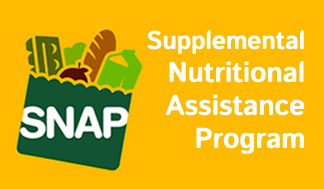 The use of automation in the Supplementary Nutritional Assistance Program (SNAP) provides an interesting example of e-government in use for social services. Progressing from the traditional casework model – in which participants had to meet with staff and fill out forms in person – SNAP programs throughout the U.S. are now increasingly employing electronic models as participants set up an online account and go through similar steps. Currently, 42 states allow online SNAP applications (and permit Web access to EBT account information), and 31 states utilize Web-based eligibility screening tools. However, the question of whether this use of e-government in SNAP provision has arisen. While several states have initiated the process of moving toward an entirely online model, they should first gather more information to determine whether this is a reasonable approach. According to Reitz, e-government can be defined as “the use of informational and computer technology (ICT) to facilitate interaction between…a public authority…and individual citizens, businesses, or non-governmental organizations”). The integration of e-government into public programs subsequently offers, “Services to citizens 24 hours, seven days per week,” observed Rocheleau & Wu. As noted by Asgarkhani, this phenomenon has been spurred by “the emergence of the Internet, Web-based technologies (e-Technologies), and global networked economies.” Coupled with recent economic turmoil, budget reductions and increased public demand, state governments have been forced to implement improved e-government websites. Automated systems of government and social services have been around for years. Yet, their use is not uniform and their impact and efficiency remains open for debate. For instance, there are commonly cited benefits to using to e-government services, such as cost-effective delivery of services and faster adaptation to meet citizens’ needs. However, complications may arise from the participants’ viewpoint, such as lack of computer familiarity and website’s ease of use and the lack of trust in disclosing personal data online. Variables such as age and language may also play a role in the difficulties of e-government from the client’s perspective. Varieties of academic studies have evaluated the impact of e-government services, as well as consumer preferences toward this model. For instance, some researchers (see Bellamy & Taylor and O’Neil) have investigated the possible impacts of ICT and management issues from the government’s angle. Others, like Rahman and West, have focused on consumer culture and geographic factors that influence the preference of e-government from the customer’s standpoint. An exemplary case study by Hung, Chang and Kou focused on communication effectiveness in e-government via the maintaining of relationships between the agency and client. Via a simple random sample of 331 e-government users, the researchers found that user acceptance was principally a function of “ease of use, trust, interactivity, external influence, interpersonal influence, self-efficacy.” Understanding how these concepts work in the SNAP program is ever-important, as “SNAP is the largest nutrition assistance program, the most costly USDA program, and an important component of the federal safety net for low-income Americans,” according to Wilde. Program administrators and policy-makers ought to be increasingly interested in determining the usefulness of e-government systems and if the widespread move toward this system is justified. State agencies (e.g., Departments of Social Services) ought to strive to better comprehend participants’ preferment of the online model as opposed to the traditional caseworker (i.e., face-to-face) model. Further, these agencies should study how the expanding use of the online model influences current clientele (e.g., trust) and how they gain access to services. Such research, in fact, not only works to clarify the effectiveness of e-government in SNAP assistance, but also in other governmental programs and applications. To illustrate, mail questionnaires – which offer the key advantage of accessibility – may be useful in understanding if different groups of people tend to prefer the newer, online models for SNAP. Focus group interviews may also be valuable, most likely comparing one group of people who currently use SNAP’s online model, and one group who are not familiar with it. Regardless of methodologies, such research is vital as state agencies continue to shift to e-government models for SNAP programs. Some have hypothesized that the elderly are unaware of how to use the new online model and are more concerned with identity theft than their younger counterparts. Further, since individuals utilizing SNAP are generally lower-income, they might not have access to the technology needed to take advantage of the automated services. Increased opportunities for fraud through social media outlets, is also a noteworthy issue. Such conjectures and issues need to be better understood before all states shift to e-government use in the SNAP realm. Author: Gilbert L. Michaud is a graduate assistant and doctoral student in public policy and administration at the L. Douglas Wilder School of Government and Public Affairs, Virginia Commonwealth University. Michaud can be reached at [email protected]. One Response to SNAP and E-Government: Do States Understand the Implications? Although I see the benefits of using technology, I’m afraid we’re losing our human touch! From my own personal experience, trying to help my mother with social services, the technology in place just added a level of frustration where talking to a human being during our difficult time would have been much more helpful. My 2 cents.